Apple TV has some very exciting projects on the horizon. Today, the streaming service released a new teaser for their upcoming slate of original TV shows, Deadline reports. 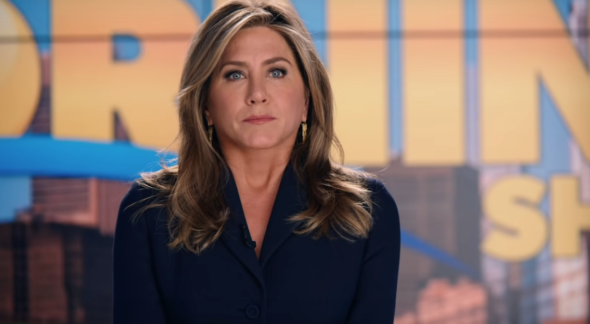 The new series include the Jennifer Aniston/Reese Witherspoon drama The Morning Show, a revival of Steven Spielberg’s Amazing Stories, JJ Abram’s Little Voice, the Hailee Steinfeld drama Dickinson, and the Jason Momoa series See. What do you think? Do you have Apple TV? Will you subscribe to their new streaming service? More about: Amazing Stories, Amazing Stories: canceled or renewed?, Apple TV shows: canceled or renewed?, Dickinson, Dickinson: canceled or renewed?, Little Voice, Little Voice: canceled or renewed?, See, See: canceled or renewed?, The Morning Show, The Morning Show: canceled or renewed?